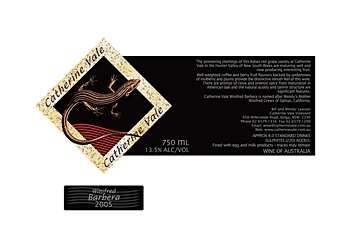 Catherine Vale in the Hunter Valley uses the Italian red wine variety Barbera to make a lovely red wine. Wendy Parsons from the winery suggests pairing their wine with a dish of Veal Olives. Join in and write your own page! It's easy to do. How? Simply click here to return to Hunter Valley.